Sweden forward Zlatan Ibrahimovic is now the world's most expensive ever player after the Sweden striker completed his £31million switch from AC Milan to Paris Saint Germain. The Qatar-backed French side presented the forward as their third big-money summer signing after he put the finishing touches to his move by undergoing a medical at a Paris hospital. The Sweden striker, 30, has signed a three-year deal with the French club after passing a medical on Wednesday. 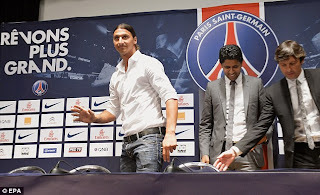 Ibrahimovic is the latest big name capture for PSG, who were bought by the wealthy Qatar Investment Authority in 2011. 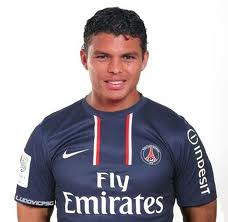 'I want to thank PSG because they made something impossible possible. It's a big step in my career. Another dream come true,' Ibrahimovic said. Former Chelsea boss Carlo Ancelotti has already captured Ibrahimovic's Milan team-mate Thiago Silva and Napoli hitman Ezequiel Lavezzi, causing outcry from French sports minister Valerie Fourneyron. Ibrahimovic, 30, has cost a combined total of £150m in transfer fees, following spells with Ajax, Juventus, Inter Milan, Barcelona and AC Milan. 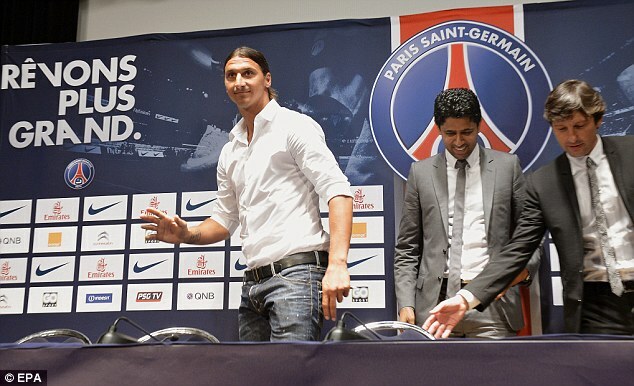 Sporting director Leonardo insists Ibrahimovic will be PSG's final signing of the summer. Ibrahimovic scored 33 times in 40 matches for AC Milan last season and also scored twice in three games for Sweden at Euro 2012.